Prahran Cricket Club unveiled Toorak Park’s spectacular new scoreboard on Saturday 16 February, during the first day’s play of the senior X1 game against Melbourne. The scoreboard, named after the late David Mandie, a businessman, philanthropist and a former player and administrator at Prahran, is most likely the most sophisticated scoreboard in suburban Melbourne. 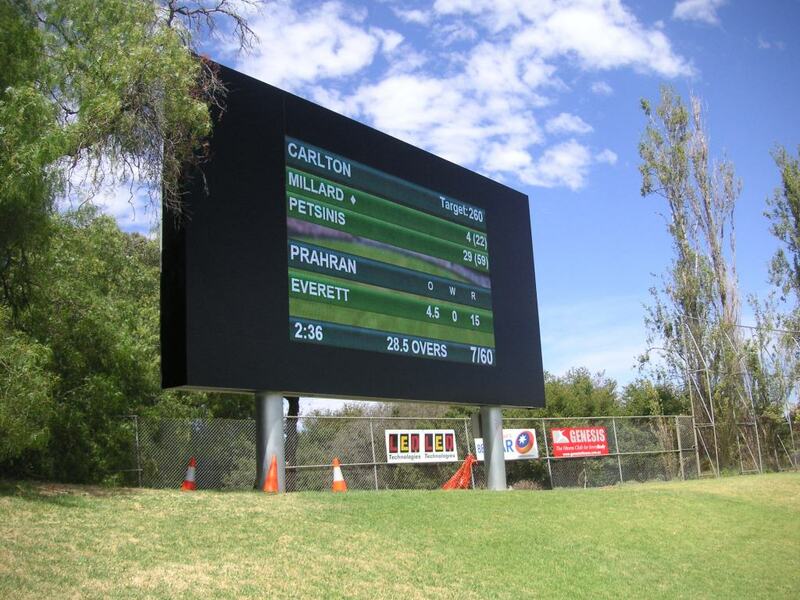 Measuring 28 square metres, its features include full cricket scorecard, animations for dismissals and milestones, advertising and slideshows. It has the potential to show replays. 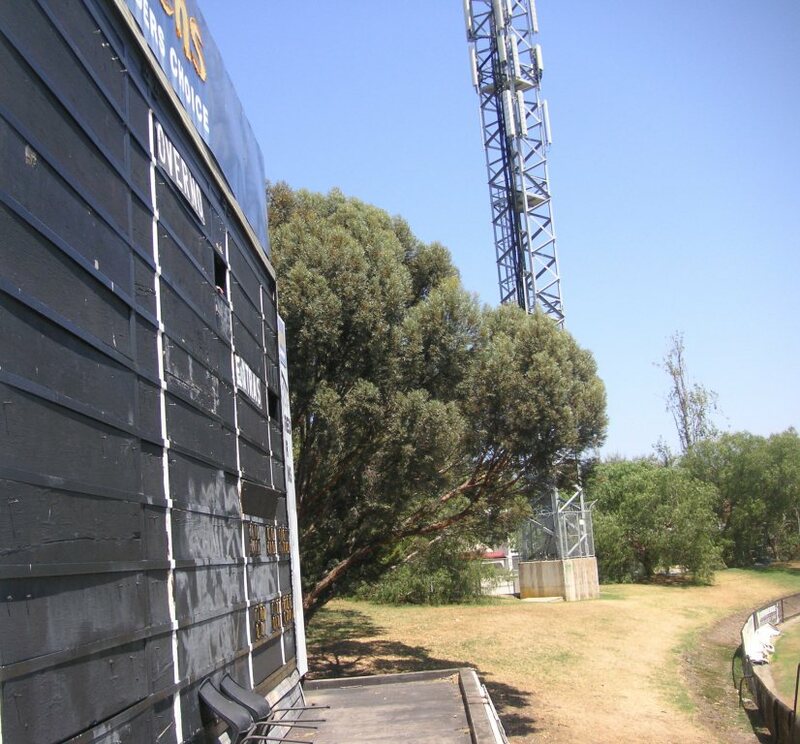 The scoreboard cost $195,000 and was funded by the local branch of the Bendigo Bank, Cricket Victoria, Stonnington Council and Toorak Park co-tenants: Prahran Cricket Club, Old Xaverians Football Club, Prahran Assumption Football Club, Prahran Juniors Football Club and Melbourne Rugby Union Football Club. The scoreboard was officially launched from the Ian Crawford Room, where guests could see that the home team were 3/82 when formalities began. 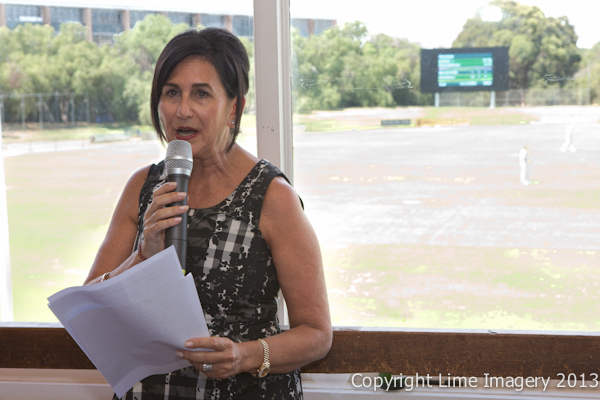 Evelyn Danos speaking at the launch of the scoreboard named in her father’s honour. Rather than cutting a ribbon to launch the scoreboard Ms Danos pressed a button and the scoreboard changed from 3/97 to a slideshow featuring her father, beginning with a photo of the second X1 team Mr Mandie captained to a premiership in 1944-45. 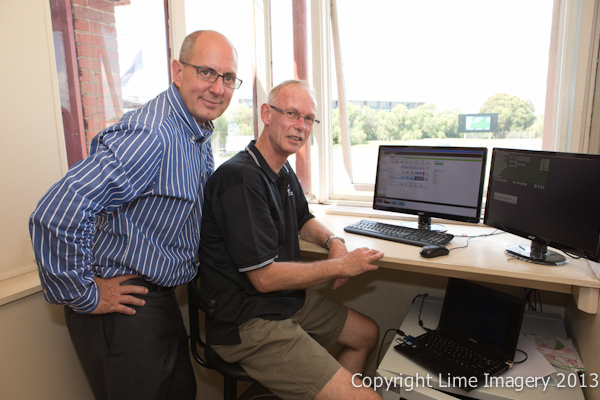 Phil Williamson and Nigel Hutton, operators of the David Mandie Scoreboard. The David Mandie Scoreboard is operated from the Orrong Road side of Toorak Park, from a small room next to the official scorers. It replaces the wooden scoreboard built in the early 1970s and condemned by council more recently. 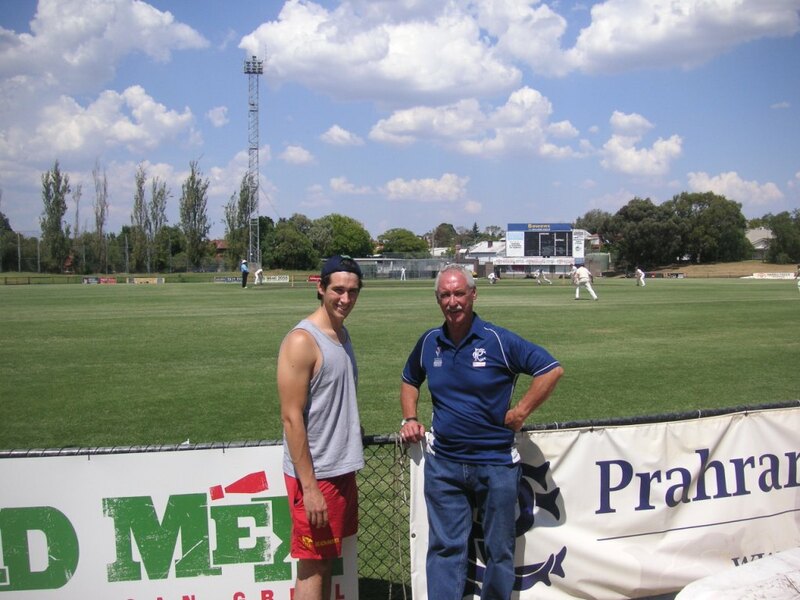 For the past ten years John Raglus, former opening bowler and current vice-president and chairman of selectors, operated the scoreboard with his sons Troy, Kirk and Josh. John Raglus puts the finishing touches to the Bryce McGain sign. 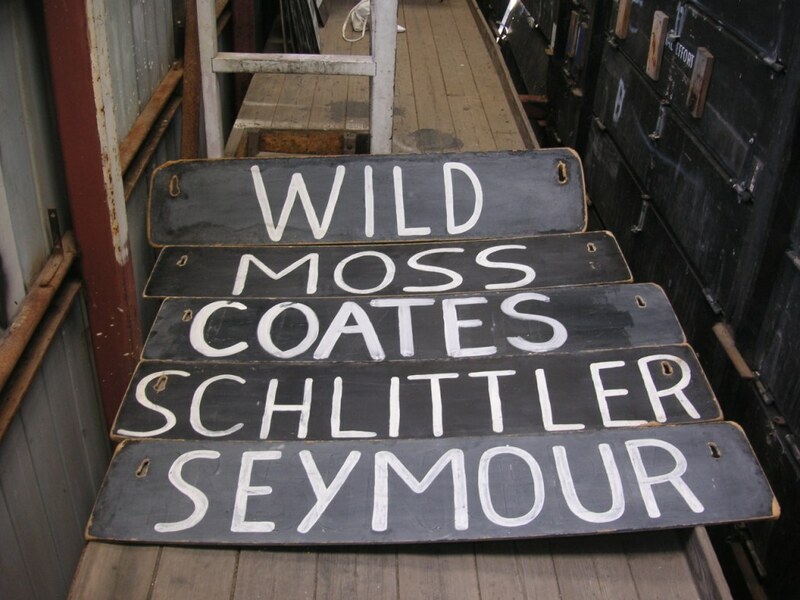 On Friday evenings John would paint the names of the opposition players for the next day, using a mix of lime (for marking the boundary) and water. 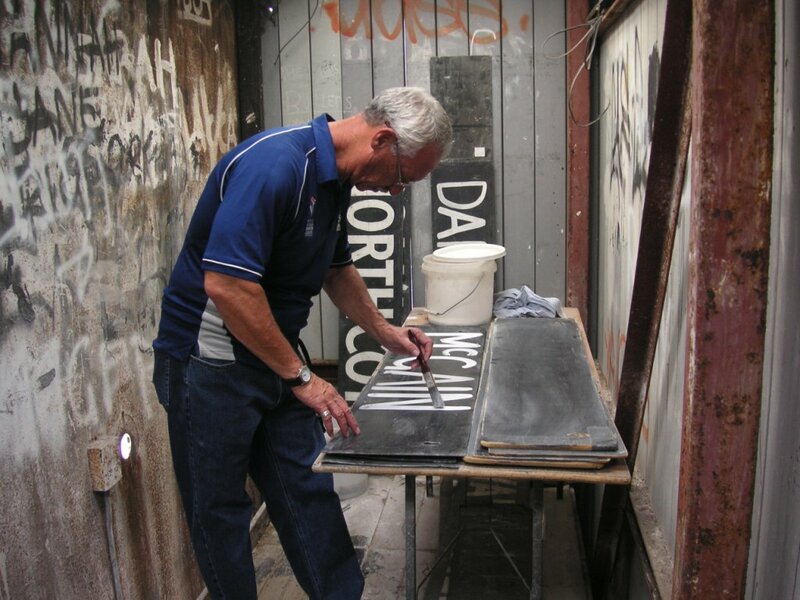 John, a detective, never imagined he would be a signwriter but he took care with the brush and will be offering some signs from the old scoreboard to a handful of Prahran stalwarts. John is impressed by the new scoreboard and is looking forward to now being able to watch various Prahran X1s during a Saturday – an important part of being chairman of selectors. John’s middle son Kirk enjoyed his time inside the old scoreboard. He was kept especially busy the day David Hussey scored 100 off only 53 balls against Dandenong in a 20/20 match three seasons ago. Now he’ll be happy to sleep in on a Saturday morning and go for a swim in the afternoon. At the end of play on the day of the launch of the David Mandie Scoreboard Prahran were a very healthy 7-319. Toorak Park in the VFA days. Does anyone know if any of the clubs need volunteers? If it is capable of doing replays, I might be prepared to do some volunteer camerawork for one of the clubs. The old scoreboard has been demolished.